When it comes to buying wire rope, you want to be sure it meets the highest industry standards. All our components are strenuously tested for impurities before it’s sold to customers-that way you can be sure you’re getting the best possible product. SWR uses spectrometry to verify the material of all our stock. Our spectrometers accurately determine elemental composition and alloy grade for a precise analytical breakdown of the chosen material. Put simply, it’s a quick and accurate way of checking the integrity of our wire rope. If you’re still not convinced then chemical analysis reports of our products are available on request. We’ll also run analysis reports on wire rope bought from somewhere else if you’re unsure of its quality. 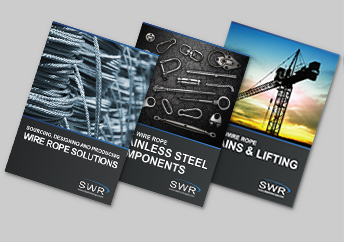 SWR are here to help you every step of the way.